For weeks, Derringer Westmoreland was haunted by memories of a woman whose face he could not recall. But he wanted to share that intense passion again. When he finally traced her, it seemed his fantastic one-night stand was Lucia Conyers and, for the first time in his life, the ranch owner had some wooing to do. If he wanted to win Lucia’s heart, he’d better be ready to risk his own. um it was ok ! This Westmoreland story is a solid story. I read it. However, the audible version is horrible because the narrator is horrible.i don’t know how Laurence Bouvard got this assignment, but his accent is all wrong for this story. It’s a deal-breaker; not a good listen at all. Loved the storyline. The Johnson family is one of the top contemporary Romance families. Michael Pauley is an impressive narrator. Would you listen to Irresistible Forces again? Why? I listen to this audiobook all the time, but it's not because of the narration by Montana Chase, which is mediocre at best. Ugh...that fake French accent. I listen to it because I Love the story! Irresistible Forces was my introduction to the Wonderful World of Brenda Jackson. My favorite character was Dominic Saxon, the hero. He was/is my first book boo. Love everything about his character. 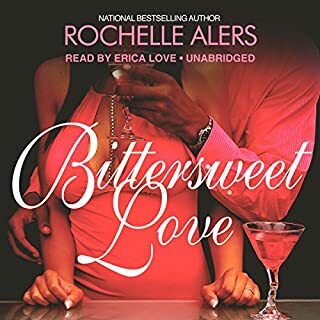 Would you listen to another book narrated by Montana Chase? Nah, I'll pass on Montana's narration, especially if she has to do a foreign accent. I loved the moment when Taylor and Dominic were getting ready to leave the island, and neither of them was in a big hurry. Their "baby making" tryst had developed into something more than just that, and It was very apparent at that moment that their relationship had changed. Definitely my No. 1 story written by Brenda Jackson. Would you listen to Vivid again? Why? 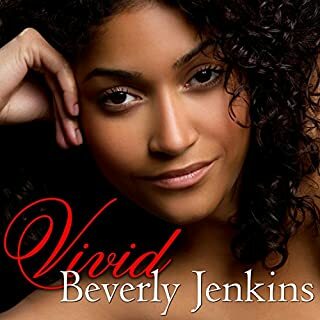 Yes, I would listen to Vivid again because I am a fan of Beverly Jenkins' African American Historical novels. Strong women and even stronger men who lived during very perilous times for Blacks , and made a difference in their own way for the Race is the central theme of her novels. The historical facts interwoven with the romantic fiction is the reason I read this genre. I learn and I enjoy the story at the same time. What was one of the most memorable moments of Vivid? Nate & Vivid's Romantic episodes. The performance was ok. However my personal preference would have called for 2 narrators, one male and one female. I didn't dislike the narrator's performance, but I think the characterization could have been enhanced if a male narrator could have performed the male dialogue. If you could rename Vivid, what would you call it? If you could sum up Sweet Destiny in three words, what would they be? Mia Eaton is my fav character. I liked the way the author portrayed her as beautiful, brainy and bold. My fav scene...... When Mia displays her shooting skills as well as her medical skills. Yes and I did! 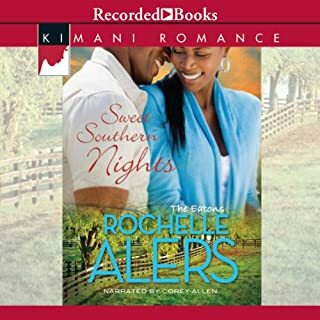 This one is my fav out of the "Sweet"series (southern nights, persuasion). I am a fan of the Eaton Family series. If you could sum up Sweet Southern Nights in three words, what would they be? What was one of the most memorable moments of Sweet Southern Nights? I especially enjoyed the scene when Levi Eaton showed up right on time when Angela confronts her ex fiancé for the 1st time at her cousin's wedding. Angela was my fav character performed by Corey Allen. His voice and inflections were just right for her. I don't think his voice was deep enough to really capture Levi Eaton's character. Good Author-Good Story-Good Narrator! Trifecta! What did you love best about Eternal Vows? I loved the story line and the main characters: I am a fan of the Eaton Family....always a great story! 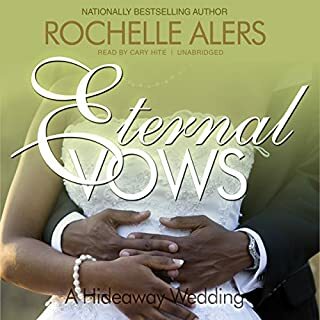 What other book might you compare Eternal Vows to and why? If I had to compare, it would be the other Eaton Family series stories, and this one is my 3rd favorite after Mia Eaton's story and Belinda Eaton's story. Yes. Cary Hite was a good narrator.